The key to relieving low back pain…the Psoas. Low back pain is one of the most common complaints we hear about. 80% of people will experience some low back pain within their lifetime. The most common reason for this discomfort are tight psoas muscles (commonly known as hip flexors). The psoas is attached to the lower 5 lumbar vertebrae and connects through the pelvic bowl over the front of the hip to the top of the femur. 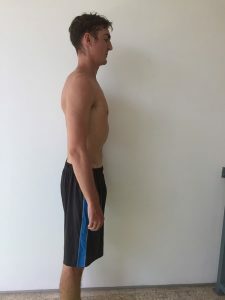 It’s the main muscles that connects the upper body with the lower body and it’s the muscle that allows us to lift our leg. Make sure the psoas isn’t tight. When the psoas is tight it shortens the distance between the lumbar spine and the femur. 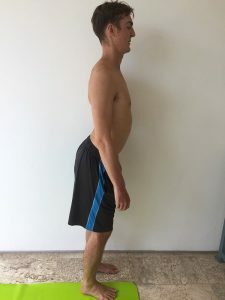 In a standing position the weakest link becomes the lumbar and the result is what we call anterior pelvic tilt which can lead to lordosis in severe cases. Imagine a profile view of the hip joint, the hips tilt forward creating a chain of unwanted results. Firstly because the front of the hips rotate down it causes the back of the hips to pull up. This elongates the back of the legs, causing weak and overstretched hamstrings. The low back is pulled down and put under constant stress making it weak and consequently sore. The abs suffer the same fate as the hamstrings, they over extend and often become weak as a result. This is exactly where the difficulty in fixing low back pain lies. Many people will suggest to strengthen your core and stretch your back but both can actually be counterintuitive. 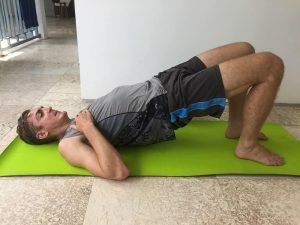 What most people don’t realize is that the psoas is often to most active muscle group when performing ab exercises (especially crunches) so this only serves to shorten and further inflame the psoas, resulting in it pulling more on the low back. 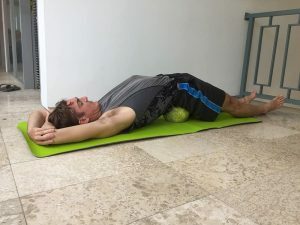 An easy way to test if this might be your issue is to lay on your back on a flat surface and bring your heels close to your body and your knees up. This puts the psoas in a resting position so if it relieves your back pain the psoas muscle is almost certainly the root of your pain. What you want to do is relax and lengthen the psoas muscle so that it takes pressure off of your lumbar spine. 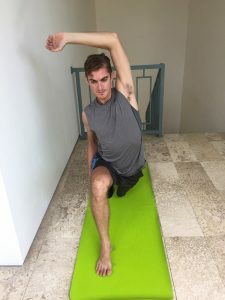 Here are 3 of my favorite stretches for the psoas muscle. Knee to chest: Lie flat on your back on the floor. Pull one knee at a time into your chest. Avoid the rib cage and pull your knee toward your shoulder using your back muscles. Keep the foot of the straight leg engaged by pulling your toes toward your shin (dorsiflex position). The calf of your straight leg should be on the ground. Pull hard. You should feel a pinch in the hip socket. Hold for 30 seconds per side. Lunge: Do this stretch with your back knee on the floor. Keep the leading knee at or behind the ankle. Focus on tucking the tailbone in and lunging forward. Keep the shoulders back, the spine straight and allow your hips to drop. Hold for 30-45 seconds per side. 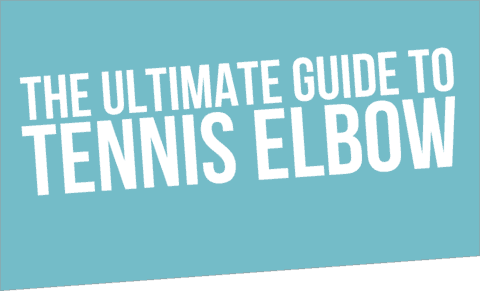 Advanced: For more of a stretch lift the arm on the extended side and lean into the opposite hip. Corpse on a block: This stretch is great because it’s passive and you can set the block to whichever height suits you. Start on your back with your feet close to your body as if you are about to get into a glute bridge. 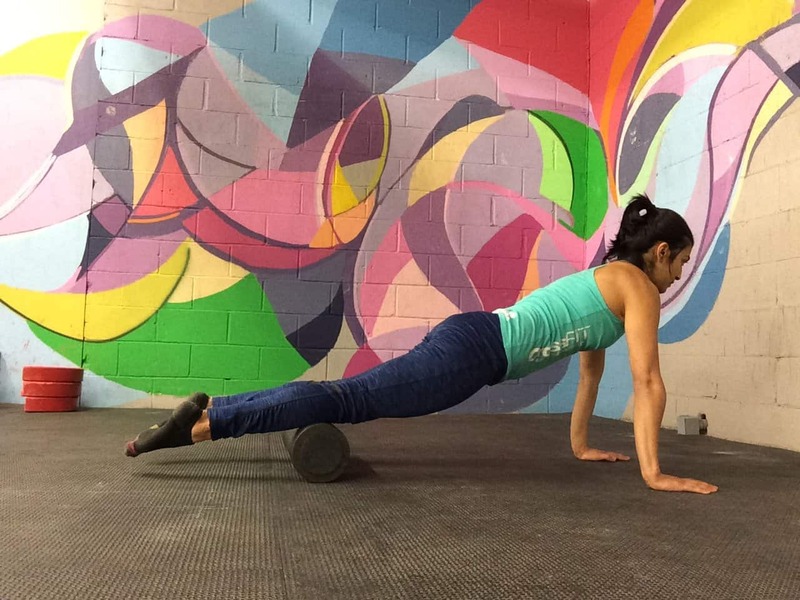 Lift the hips and place a yoga block, foam roller or anything you can find directly under the sacrum. In this case I use a soccer ball because it happened to be what I had. Drop the weight of your hips back on the block (or soccer ball) and slowly extend your legs straight. If you are feeling a pinch in your back you may need to readjust the block. Find the height the gives you a mild stretch. Hold for 1 minute to start and work up to as much as 5 minutes. Whatever you do…DO NOT RUSH INTO THIS. The psoas is a very sensitive muscle. If you stretch it too aggressively you will end up in a lot of pain. 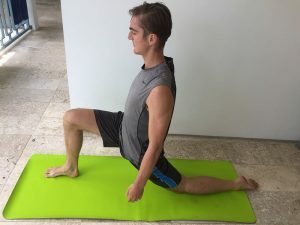 The goal in these stretches should be to find a balanced point with moderate stretch where you can focus on breathing deeply and setting your intention on relaxing the psoas as you breathe out. Often times if the psoas is really tight your first few attempts at stretching it will result in more back pain, this is normal. Go easy and stick with it, if you do these stretches consistently for a month you’ll feel a world of difference.